Shelton Fleming | Blog | Designed in China? Before we get to the heart of this thought-piece about what it might take for Chinese Brands to connect with Western consumers, a couple of personal stories merit reflection. They may not seem connected at first but bear with me, they are. I remember the first time I lifted the lid on the box to my new iPhone 6, or maybe it was my iPhone 5. As I felt the vacuum from the snug-fitting lid pop, releasing the contents and excitement, the first ceremonial duty was removing a shiny white envelope. If you’re an Apple devotee, you’ll know it contains mundane things like the warranty and quick-start instructions. But what caught my attention was the inscription: Designed in California, or words to that effect. I thought to myself, “clever”. Sure China might be the factory to the world but fear not, creativity, authenticity and ‘designer cool’ remain the preserve of the West, or at the very least, the West Coast. By the way, I don’t believe that’s true but of course, it’s convenient for Western brands to peddle the myth. One could argue it’s an unhealthy deception because it lulls Western brands and companies into a false sense of security. Given time, Brand China and Chinese brands can be just as powerful in Western markets as they are behind the scenes making stuff. I recall when Lenovo emerged on the international stage, a Chinese brand that wasn’t really on my radar until they acquired IBM’s laptop division. It’s arguably one of the first brands to make a genuine impact outside of China with a premium positioning… well, in the modern era. To be fair, go back a few centuries the tables would be turned. Back then, luxuries would have been ornate Chinese carpentry, crockery – and tea. And of course, Lenovo has since acquired Motorola, no doubt for the Moto brand equity. However, the hypothesis I would float here would be – yes, Lenovo has been successful but not as a pure-play, Chinese brand. As a consumer, back of my mind, even now is the perception that it’s a Think Pad with a new badge. 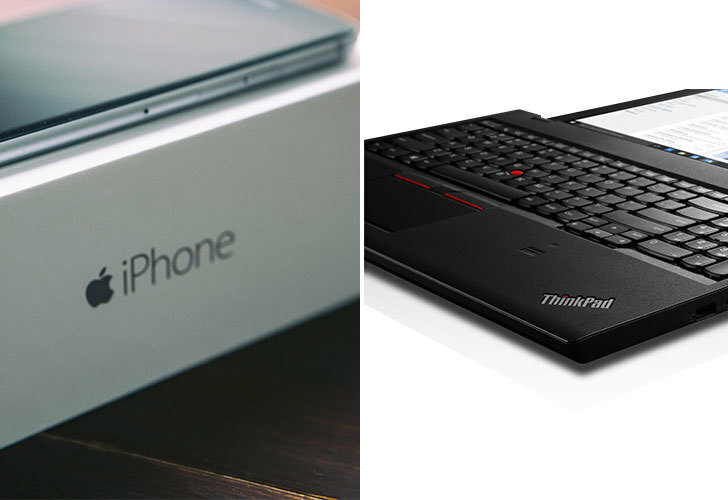 The ThinkPad brand equity has been leveraged. Nothing wrong with that Lenovo marketing strategy. Indeed, it’s a smart brand strategy. But, what happens when a Chinese brand can’t tap the heritage of a Western one? To explore that question and frame strategies for building successful Chinese brands in the West – especially in categories like accessible luxury, currently the preserve of Milanese and Parisian fashion houses, German car manufacturers and Swiss watch-makers – we need to consider the perceptual hurdles. The first challenge is more canyon than hurdle. There’s a vast gulf in perceptions. Anyone who has travelled to China (this author’s been fortunate to) the impression is anything but a traditional society. It’s hyper-modern. Hyper-speed, everything. 24 / 7. It makes Manhattan seem sleepy. Ambition is all-pervasive. So, not surprisingly, one of the first hurdles for Chinese brand owners is recognising that most western consumers simply don’t have the same perception or understanding of China. Sure, news broadcasts remind us daily that China’s economy will dwarf the rest of the world. However, when it comes down to values that can infuse a brand with quality or even modernity, western consumer perception is foggy or worse, distorted. With the possible exception of maybe some younger consumers which true, in time will change things. However, when I’ve worked with Chinese colleagues it’s apparent they see their country-brand and even some home grown brands as dynamic, agile, modern, progressive, trail blazing, innovative, high quality, high-tech and even environmentally sensitive. To the western consumer, I reckon you could virtually invert those perceptions. To exacerbate matters Western consumers often perceive Brand China to imply a more parochial outlook, impenetrable, lacking transparency and creativity – copying rather than originating, not to mention home to some eclectic brand names. On the premise that perception is reality, those are major challenges. Ok, we can put to one side the quirky brand names. One can either go to market with a different name, or turn what might seem like an eclectic name to one’s advantage. Make it a virtue. Use its quirkiness to produce an identity and campaign that’s self-deprecating – implying the brand doesn’t take itself too seriously but instead is about accessibility, a sense of humour or approachability. It may now seem tenuous but this blog started life as a look at the Chinese New Year celebrations around the world. The plan being to highlight which would be the cool Chinese New Year events to experience, given our roots in company conferences and experiential marketing? The search revealed that cultural events (like festivals) might in fact reinforce misconceptions about Brand China… and by implication what Chinese brands bring to the party. Yes, the festivals are colourful and entertaining (and well-intentioned / beautifully produced) but they harp back to a society perceived as being hamstrung by tradition, when in fact the opposite is true. Even China’s Olympic ceremony, whilst it left us in awe (wondering how would any nation better it – and thankfully the UK proved there’s a way if you be yourself) it reinforced this idea of the world’s manufacturing heartland. Thousands of people acting on an industrial scale, albeit for a theatrical production. It was amazing but one could argue it reinforced perennial perceptions of mass-production and controlling the masses. Why does any of this matter when marketing in the West? 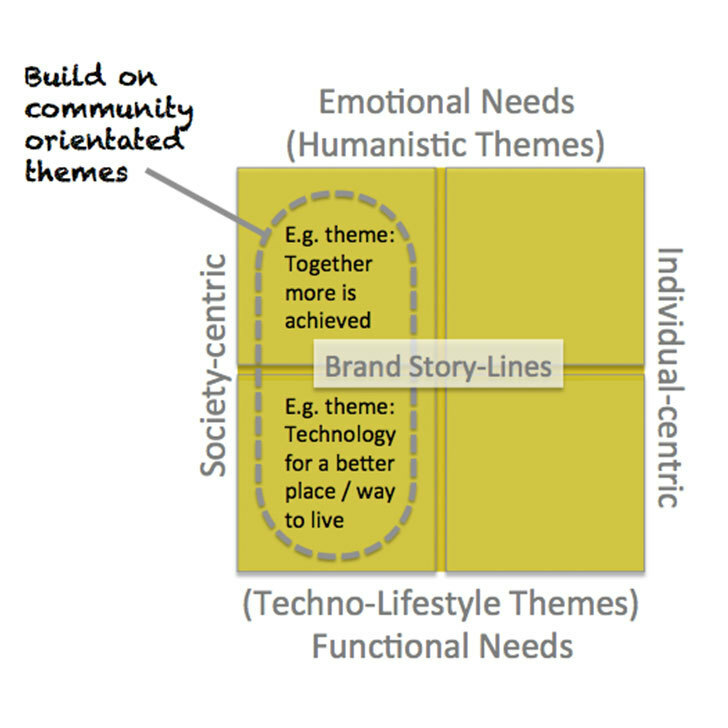 Brands connect through value systems and cultural markers. And I know a lot of pundits will say, ‘Well, Japan was in the same boat 30 years ago – cheap plastic toys and frenetic productions lines churning out small cars and TVs – and that all changed’. And true, today Japanese brands are about flawless refinement, precision, automation and artificial intelligence, even if they have lost ground in consumer electronics to Korea, Apple… and increasingly, China. And, Japanese brands are gradually dialling up personality and self-expression. Yet, Japan had some building blocks that aligned with Western aspirations and values from the get-go, not to mention a close, post-war relationship with America. Japan represented clean, simple design that ticked important values: Authenticity and modern living. In more recent decades expressions of this would be Muji (modernity through simplicity). Add: miniaturisation and perceived technological prowess. Think manicured Zen Gardens. Bullet trains. Or, the game-changer, Sony Walkman appealing to the ultimate Western appetite for individualism. And Japan also had an eccentricity that could, though not always leveraged, tap the concept of the ‘free-spirited individual, the rebel, the black-sheep’, the other foundation of Western-hunger for self-expression. The movie Lost in Translation highlighted how Japan is seen through a Western lens. If there’s one thing Western consumers have lapped up in their brands, it’s the association with self-expression and at its extreme, brands moulded around concepts of rebellion and irreverence. The latter? Awkward territory for Chinese brands, even on a subliminal, consumer level. And China has the additional hurdle that the West is ‘Youth-obsessed’. And little sign of that changing. We have an aging population with no need nor interest in retiring gracefully. Chinese society has greater regard for the generations, past and present. Reverence, not irreverence, is the mantra. Again a challenge when Brand China and Chinese brands look to connect with temporal Western consumerism. So where does this leave Chinese brands and specifically, Brand China? Is the only route into hearts and minds in the West through acquiring once venerable Western brands? The answer is closer to home: it’s ‘be yourself’. China has values that are going to become more valued and in tune with life whether talking consumerism, social cohesion or saving the planet. Indeed, the other hypothesis I put forward here is global events are creating a new value system. It’s not simply because social media or migration is making the world flatter – although that’s a catalyst – the real change is coming from the systemic nature of markets, the impending climate threat and, paradoxically, political polarisation. Everything’s connected. Web-enabled eco-systems are fast underpinning all aspects of life. Climate change requires cooperation. Everything mandates communal action. Beginning to sound closer to Chinese values? And political polarisation? It will grate with the Millennials. They will seek (hopefully) a more tolerant, inclusive world. Those are values Brand China and Chinese brands – consumer and B2B – can champion. When you start to think about qualities like community, family, group effort, perseverance, self-discipline, determination and thinking about people coming together for the greater good, Chinese values have relevance and leverage. They are values that hold out some hope for dealing with what are proving to be endemic (read, systemic) global challenges. The key is how the China Brand story is delivered and engaged by Western consumers. With a more active push, science and technology could also become synonymous with Brand China. That, oddly, hasn’t really resonated with Western consumers yet, the way Korean or Japanese brands have. Below is a model for isolating themes that could be a credible platform for Chinese brands to connect with Western consumers, and especially, Millennials. But the trick could be to keep it real. A lot of Asian brands, possibly for aspirational reasons and fear of treading on egg shells and offending, err towards more stylised, aspirational brand campaigns, rather than tap real, human story-lines in a reportage style. However, tapping deep insights about human relationships, attitudes and behaviours might help Chinese brands build empathy. 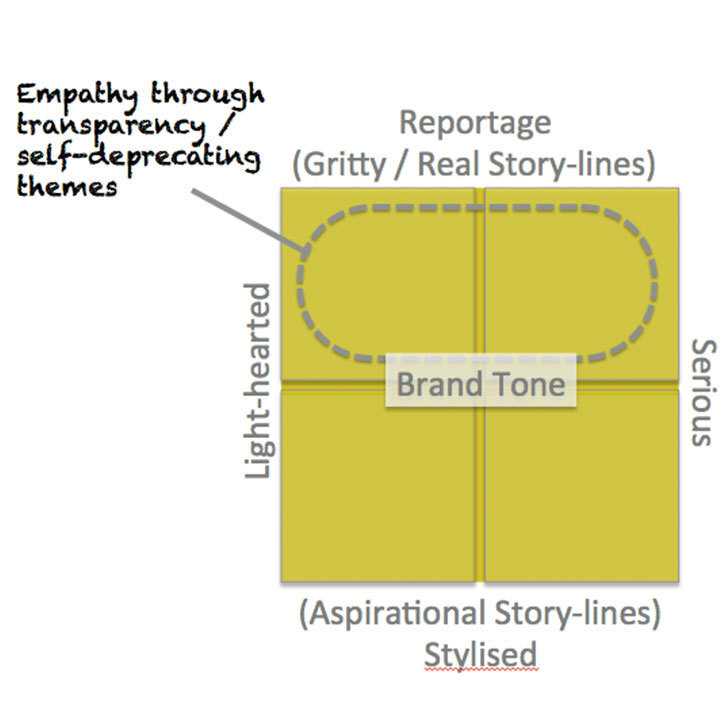 If we summarise the observations above: connecting with Western consumers typically requires conveying authenticity, original thinking, a degree of self-deprecation, irreverence, self-expression, transparency and increasingly, a sense of inclusivity. Can a more communal orientation to the Brand-China story be delivered with those Western cultural markers and values in mind? We think it can. Invariably Chinese brands, and this is arguably true for many emergent Asian brands, the marketing campaigns are stylised and slightly contrived. This fights with being more authentic, transparent and perhaps self-deprecating, as a way to create empathy with Western consumers and businesses. A strategy or brand-story that lays bare the challenges Chinese companies face at home and how they’ve taken the greater good of the community to heart, when meeting challenges, would legitimise the brand message and show the human side to Brand China. China is confidently confronting incredible challenges from mass urbanisation to the environment. For Chinese brands to go to the market showing how they’re taking the greater good of society into account and applying science and even declaring where mistakes have been made but learnings taken on board, would create empathy. It would introduce original thought (aka creativity) with authenticity. Fallibility, honesty and imperfection can resonate with Western consumers – as the Dove real women campaign has shown us. 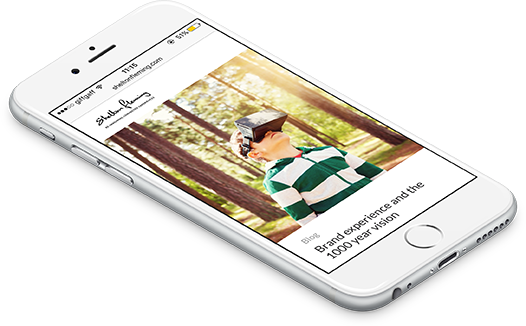 And if luxury or premium quality is going to be the calling card – the routes to market could be a dialling up technology prowess (something uber-modern, urban China can convey) together with hyper-personalisation. If Chinese brands can truly create personal engagement, perhaps through online brand communities, eConcierge services and active after-sales care, they can take on the European premium brands. Many premium brands in Europe operate on an aloof, elitist agenda which worked in the days when status was everything. However, in a world facing challenges that call for cooperation and an inclusive approach, will that resonate with Millennials, as their wealth and influence grows? Brand China could connect with a more universal, inclusive vision – business to society. So the opportunity could be Brand China and Chinese brands standing for the greater good; be it tolerance, the environment or science for a better world. China’s sheer scale means anything she does now and in the future will impact the world. China’s culture is one largely defined around family and community. So a Brand China that’s actively shaped around the principles of community and creating a better world could resonate with western audiences and be a touch-stone for Chinese brands. And with brand empathy could evolve the belief that great brands can be Designed in China. And finally, at the risk of perpetuating misconceptions about Brand China, below are some excellent Chinese New Year festivals and segues to China’s story. Please note: it's possible that some of the links below might expire or not be available outside of the UK. For example the BBC only keeps programs on iPlayer for 4 weeks. 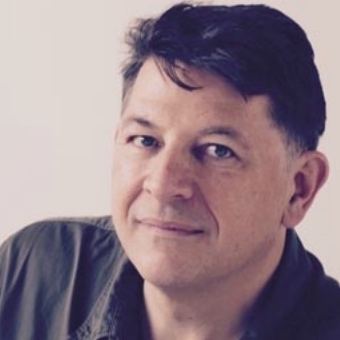 Author: Andrew Reid is a director at Shelton Fleming Associates – CX experts in how B2B brands engage senior level audiences, through live experiences and immersive, digital content. Want the latest insights direct to your inbox? We hope you enjoy Brain Snacks, but if you don’t, you can unsubscribe at any time. You’ll get an email about once a month, and we’ll never share your details. VR enhances not only customer experience but business practice too!